Childish Gambino and Kacey Musgraves took home the biggest prizes at the 2019 Grammy Awards, with the rapper winning both Song and Record of the Year for “This Is America” and the country musician taking home Album of the Year for Golden Hour. Both Musgraves and Childish Gambino notched four wins each. Along with becoming the first rapper to win Song and Record of the Year, Childish Gambino also won Best Music Video and Best Rap/Sung Performance for “This Is America” but, despite the big night, Donald Glover was notably not present to accept any of his trophies. Meanwhile, Musgraves also picked up Best Country Song (“Space Cowboy”), Best Country Solo Performance (“Butterflies”) and Best Country Album. One of the most historic awards, however, was handed out before the televised show even started: Emily Lazar, a mastering engineer who has worked on albums by everyone from David Bowie and Paul McCartney to Björk and Destiny’s Child, became the first woman ever to win Best Engineered Album, Nonclassical for Beck’s Colors. Keys, however, dutifully shouted out the victory before the night’s final awards were handed out. 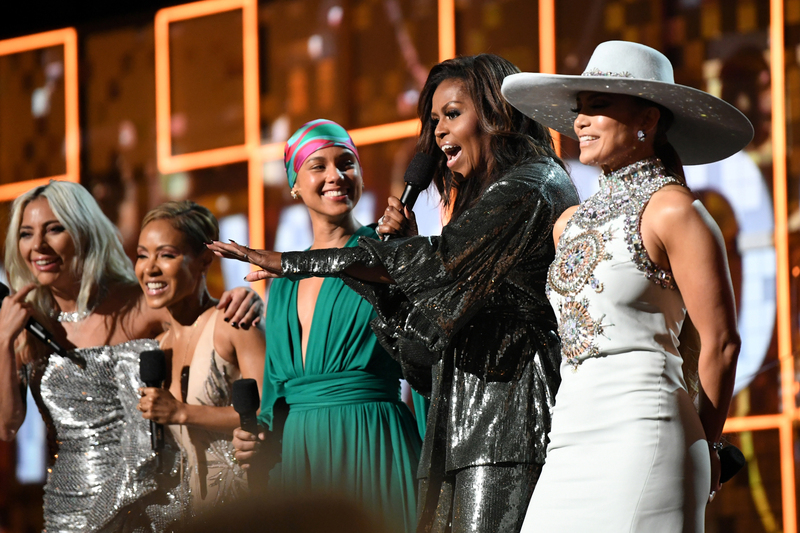 While the 2019 Grammys undeniably made strides towards actualizing the kind of diversity and inclusivity the entertainment industry likes to pride itself on, it was impossible not to feel at times the heavy nudge of a PR push. And despite all the social justice rhetoric, the entire music industry seemed to forget that rapper 21 Savage — who was nominated alongside Post Malone for “Rockstar” — could not attend the ceremony because he’d been detained by Immigration Customs Enforcement. If anything, the 2019 Grammys were, in many ways, not so different from previous years. The performances and tributes came fast and furious, and the awards were handed out almost like an afterthought (just nine trophies were presented during the televised show). But even criticism of the Grammys is as much a Grammy tradition as a show that runs well over three-and-a-half hours, and even this truism was well represented Sunday night. Drake then seemed to take a pause before continuing – but before he could finish, the Grammys did a hard cut to commercial.